More than the previous essays I’ve reviewed from this volume, this one speaks in detail not only to the identity issues involved in being a “Gentile in Christ” in the time of the Apostle Paul, but also to those of us who call ourselves “Messianic Gentiles” today. 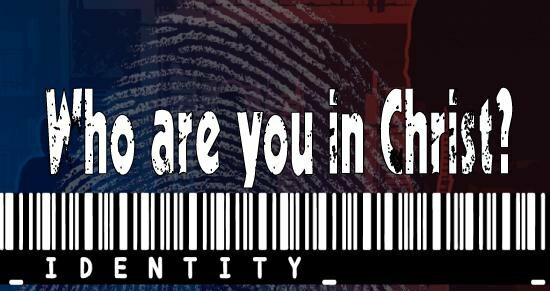 For the vast majority of mainstream Christians in churches, this identity conundrum does not exist. Being “Christians” is self-defining and self-explanatory and perhaps anachronistically, they believe they have direct one-to-one connectedness of identity with Paul’s own Gentiles. According to Hodge, nothing could be further from the truth, or at least further from the facts. At the scholarly level, it may well be agreed that Paul did not consider the Gentile disciples “Christians” nor that there is much, if any, comparison between the ancient ekklesia and the modern Church. Nevertheless, at the level of the local church and the local Pastor, I have heard it preached, specifically to Acts 20, that there are close comparisons that can be made between ancient believers and today’s Christian in the pew. This is another case of the lag between academic discourse and what most Christians hear preached from the pulpit. 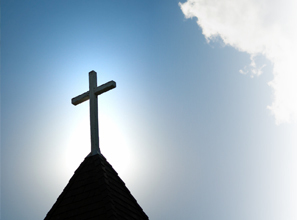 It’s not so much because these Pastors are unaware of new research, but that such information does not make a good fit, either with the Pastors’ theology and doctrine or what would be accepted by their parishioners. According to Hodge, Paul calls his Gentile disciples “beloved, holy ones, faithful ones, brothers and sisters, and a new creation,” but if they weren’t “Christians,” who were they? That’s not particularly satisfying but I know exactly how that “hovering” feels in my personal and congregational experience in various Messianic communities, or at least those few I’ve had the opportunity to visit. Is it possible that there’s more than one kind of Gentile? 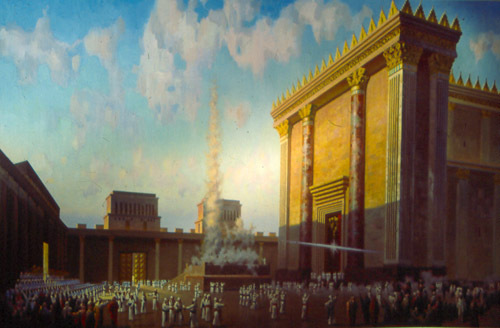 According to Hodge, in the late Second Temple period when Paul was operating, there were two broad categories. There’s the Jewish concept of the “generic” Gentile, that is, anyone who isn’t Jewish is a Gentile, regardless of how differentiated people from one culture or nation may be from another. Then there are Gentiles in Christ, the disciples made by Paul and others. And in Paul’s usage, this term has a doubleness to it in that there are two kinds of gentiles. First, there are the audiences of his letters, whom he addresses explicitly as gentiles in a number of places (Rom. 1:5-6, 13; 11:13; 15:6). Second, there are all the other gentiles who are not in Christ, the sort of gentiles that believers used to be. Elsewhere Paul describes this as the life of the spirit, which they receive at baptism, so that, Paul says, “the just requirement of the Law might be fulfilled in us” (Rom. 8:4). 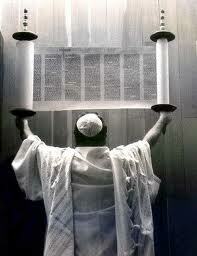 But he is adamant that they not keep Jewish Law, especially with respect to circumcision for male gentiles. Indeed, gentiles-in-Christ are not quite gentiles and not quite Jews. This level of ambiguity may have ultimately been unsustainable and resulted in the eventual schism between the Christ-believing Gentiles and the Messiah-believing Jews, although Hodge doesn’t address this point in her essay. She does say that while remaining gentiles, these non-Jewish believers did participate in Jewish community and Jewish practices, behaving “Jewishly” but not being Jewish, as Mark Nanos has previously stated. In fact, there may have been “a sliding scale of gentile participation in Judaism” such that there was no one fixed standard for the behavior of non-Jews in Jewish community and worship space. I hope I’m not being anachronistic in applying this to those modern “Messianic Gentiles” who operate within Jewish spaces such as Beth Immanuel (although arguably, Beth Immanuel could be recognized as a Gentile space that behaves very “Jewishly”) and Tikvat Israel. From personal observation, I’ve seen a wide degree of variability in just how “Jewish” many non-Jews behave within these communities and elsewhere. Perhaps this isn’t a matter of a lack of accepted standards for Gentiles, but a reflection of the necessity of process for non-Jews in community with Jews. Hodge approaches her investigation from two avenues: one that uses the logic of lineage and the other one that uses the logic of purity. Hodge cites Ezra, particularly Ezra 9, and Jubilees chapter 30 to illustrate how purity of lineage was used to create a strong distinction between the Jewish people and the rest of the world, effectively excluding Gentiles from community with Israel. Not just the priests, but each individual Jew was defined as “holy unto the Lord,” set apart, unique, special, particularly from the goyim. Paul uses the same argument, only leveraging it for Gentile inclusion rather than exclusion. His rather unique interpretation states that in the promise that Abraham will be the father to many nations, and that this promise was made before the giving of the Torah, the Gentiles-in-Christ inherit the role of “Abraham’s seed” due to the faithfulness of Messiah. Indeed, one of these promises, foretold by Scripture to Abraham long ago, is that, “All the gentiles (ethnê) will be blessed in you” (Gal. 3:8; Gen. 12:3; 18:18). Paul’s own creative interpretation of Scripture allows him to claim that these ethnê mentioned in Genesis are those gentiles who have been baptized into Christ. We should not be surprised at their inclusion in God’s plan; they were present in Abraham’s body at the time of the blessing. So, according to how I’m reading Hodge, Paul was employing not so much a literal interpretation of scripture, but using widely sweeping metaphors, his own personal midrash, to make linkages between Abraham and the Christ-believing Gentiles. Once having undergone baptism as a symbolic rite of adoption, a new kinship was formed between the faithful Gentiles and the Jews in Messiah. However, the term “adoption” should not be assumed to be the same as the legal process in modern American courts whereby a child who is not biologically produced by two married people becomes legally indistinguishable from any children born to the marital couple. Although the “Messianic Gentiles” who are “adopted” through the rite of baptism are equally “in Christ” with their Jewish counterparts, equally apprehending the blessings of the New Covenant, such as the Holy Spirit and promise of the resurrection, Hodge emphasized repeatedly that this “adoption” did not make the gentiles Jewish nor did it in any sense obligate them to observe the Torah mitzvot in the manner of the Jews. Paul’s rather complex metaphorical language in his epistles was necessary to articulate a concept that even today is not well understood. Just how are Gentiles included in any of the blessings of a covenant God made exclusively with Israel? The “Abraham connection” is the key, but even then, as we continue to discover through Hodge’s article, exactly who and what we Gentiles are in Christ remains a puzzle, at least in the details. The second tact Hodges employes is the sense of the Gentiles being set apart in Christ, being holy and in need of protection. As priestly bodies are “holy to the Lord,” Corinthian bodies “belong to the Lord” and not to porneia (1 Cor. 6:13, 19-20). …so Corinthians are “members of Christ” (6:15) and must protect this holy body. According to Hodge, the “seed of Abraham” argument and the “purity” discourse serve two separate rhetorical purposes. The Galatians “seed” commentary was focused primarily on explaining why Gentiles are not required to observe the Torah mitzvot as do the Jews. This is because their/our identity as “gentiles-in-Christ” and how we become part of Israel’s story is through Abraham and before Moses and the Sinai event. We are recipients of the promise to be Abraham’s children from the nations who can only fulfill that promise by remaining Gentiles. In 1 Corinthians, Paul responds to competing ideas about how to live this new life in Christ. Throughout his letter he tries to control gentile bodies, urging harmony, cooperation, and self control. These persuasive aims are responsible at least in part for the ways Paul portrays gentile identity in each. That’s bound to be a little disappointing to modern Messianic Gentiles who are hoping for something a little more codified. Nevertheless, we do have the general guidepost of separating ourselves from other, non-believing Gentiles and from our former lives, in order to live a life in Messiah that is pure, decent, and sanctified, being inhabited by the “pneuma” of Christ. We are called to worship the God of Israel as Gentiles and not as Israel. This was non-negotiable for Paul. …when Christ returns to establish God’s kingdom, it is necessary for Israel and the gentiles to worship God not as one people, but as separate peoples–now worshipping together, as expected in the awaited age. Paul is clear in Romans 9-11, where he lays out this larger plan, that Jews and gentiles remain separate. But what if there isn’t an answer? 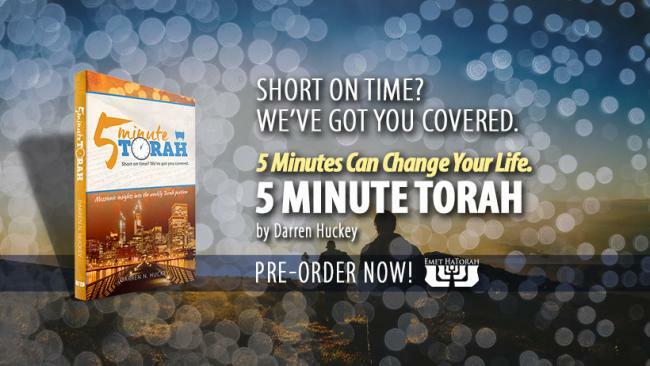 What does that mean for Yeshua-believing Gentiles in Jewish communities today? Hodge raises two problems. The first is that any assumption about the answer presumes an identity that is overly simplistic. While a nice, neatly wrapped gift of well-defined Gentile identity might be satisfying, it could also sell who we are in Messiah short, denying the complexity of our role and function in the Messianic ekklesia. The other problem is that such an assumption confuses the strategies of the speaker, that is Paul, with a description of reality. Remember, I called Paul’s letters an exercise in metaphorical or midrashic writing. Such commentaries are not meant to be taken in an overly literal manner, and yet much of Christian exegetical tradition does just that. If we’re attempting to build a literal model out of metaphorical material, no wonder we have chronically misunderstood Paul in the Church. …his [Paul’s] rhetoric is prescriptive, not descriptive, and his goal is to coax the gentiles to think and behave in certain ways. …that ethnic identity should be viewed as a process, a perspective on the world, rather than a thing that exists independent of human arguments. I read that as Messianic Gentiles not having a fixed, static identity in Jewish space but rather, we are in the process of becoming, not just being. Also, that identity likely flexes depending on our specific circumstances and our relationship to Jewish community. In the ancient world, there were “myriad social formations” that contributed to identity and I don’t think anything has changed relative to Gentile identity in Jewish space. While Galatians 3:28 defines both Jew and Gentile as “one in Christ,” that “oneness” does not imply identical identity in any manner. It does define a place where Jew and Gentile meet and whereby we take on a shift in identity from who we Gentiles were without God to who we are now with God. But God is a God of Israel as well as the world and when a Jew comes to faith in Messiah, he/she changes less than does the Gentile. The Jew already has an identity with God as defined through the covenants. Faith in Messiah is the next step in the revelation of God to Israel, a continuation along the same, straight line. For the Gentile, the change in identity is radical to the extreme. Everything we were before as individuals and as people groups undergoes transformation. In ancient days, a lot of that transformation borrowed from Jewish praxis simply because no other model was available. But now, as it existed then, Gentiles in Jewish community remain Gentiles and behave “Jewishly” on a sliding scale of behavior depending on role and circumstances, but still only vaguely defined. Being a Messianic Gentile is a continual journey of discovery, not a destination where we can hope to arrive, at least anytime soon. I’ve found Hodge’s article thoroughly enjoyable and hopefully you will find it equally illuminating. Being Gentiles-in-Messiah isn’t about who we are but who we are becoming. Each day is new and we are new with the coming dawn. Jews practicing Judaism in the first century observed the rite of circumcision, so it may seem natural enough to conclude that Paul’s arguments depreciating, when not opposing, circumcision undermine the very idea that Paul should be interpreted as a representative of Judaism. But Paul’s position is much more nuanced than the readings on which the interpretive tradition’s conclusions depend; so too is the practice of the right within Judaism. So begins this rather lengthy article of Dr. Nanos’ on why, contrary to what is typically believed within Christianity today, Paul actually was a very good representative of the Judaism of his day, and why, again contrary to Christian tradition, Paul did support ritual circumcision of Jewish boys on the eighth day of life, though this was not required of non-Jewish boys, even among those families who were devoted disciples of Yeshua (Jesus). Even if I were just to quote those passages in Nanos’ paper I highlighted as significant, this blog post might become almost as long as the original article. I will try to be brief and also to capture the essential points being made in this fourth submission to the “Paul Within Judaism” book (and yes, I realize it’s been quite some time since I’ve offered a review of this material). In real estate, the predominant credo is “location, location, location.” In Biblical exegesis, it’s “context, context, context”. Our traditional view of Paul relative to Judaism and circumcision (and most other things) tends to disregard that context, that is, the first century Jewish context in which the Apostle wrote, taught, and lived. According to Nanos, viewed and read within that context, alongside “similarly qualified statements made by other Jews,” Paul always remained properly observant to the Torah of Moses and upheld circumcision of Jewish males as a continued sign of the Abrahamic covenant between the Jewish people and God. If Paul opposed circumcision, it was specifically regarding the proselyte ritual to convert a non-Jew to Judaism, as was the tradition of his day (and ours). 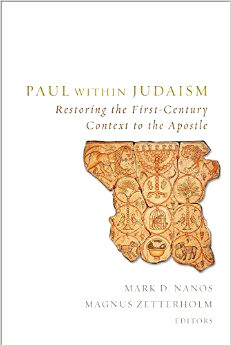 I should make clear that, as Nanos writes, Paul did not object to non-Jewish practicing Judaism alongside ethnic Jews and converts, or at least he didn’t object to them behaving “Jewishly” within a Jewish social and community context. This did not require these Gentile disciples to become obligated to the Torah mitzvot in the manner of the Jewish people. 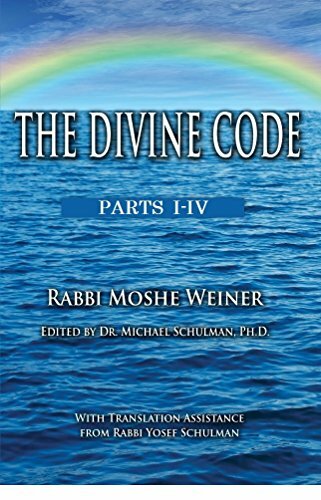 Rather, for the sake of social discourse with their Jewish mentors as well as elevating the non-Jews’ spirituality and moral/ethical behavior to the level Hashem expects of those who were created in His Image, they behaved, as I have just said, “Jewishly,” or in a way that an outside observer might believe is “Jewish”. Nanos slowly builds his arguments (which are too long to cite in detail here) regarding how we can read Paul and how the Apostle uses the term “circumcision,” “circumcised” (for a Jew), and “foreskinned” (for Gentiles including Gentile Yeshua disciples) to show that Paul supported (male) Jewish disciples being circumcised but not so the Gentile believers. Paul only was against circumcising Gentile Yeshua-disciples and fully supported the circumcision only of Jewish Yeshua disciples along with all other Jewish males. Nanos turns to a story related by Josephus, the narrative about the circumcision of the non-Jew Izates, King of Adiabene. Rather than attempt to familiarize you with that story from Nanos’s full rendition, you can find a summary of the life and significant experiences of Izates, specifically his familiarity with and eventual conversion to Judaism, at Wikipedia (not the best of sources, but it will get you started…feel free to Google Izates for more). In short, Izates, who was a contemporary of Paul, encountered a Jewish advisor named Ananias, who familiarized the young King with Judaism, so much so, that even without converting, Izates took on a number of “Jewish” behaviors and, to a casual observer, could have been mistaken for acting “Jewishly” if not being “Jewish”. Another advisor, Eleazar, told Izates that it was improper for him to study Torah without converting. Izates greatly desired to convert, but Ananias believed the King’s subjects would not accept the rule of a Jewish King (how ironic, since one day, the whole world will be ruled by a Jewish King, King Messiah). Terms such as “the act,” “deed,” or “work” as we find in Paul’s writings on “the works of the law” (see Galatians 3:2 for example) specifically refer to the Apostle’s disapproval of Gentiles undergoing ritual circumcision for the purpose of conversion in order to be justified before God. 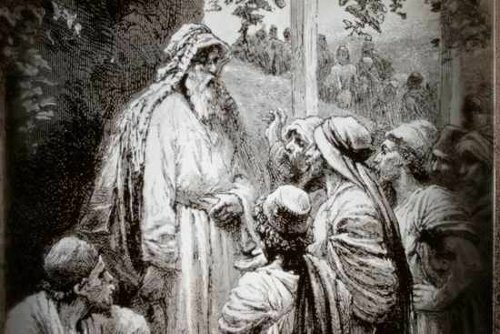 Again, Paul’s “works of the law” had nothing to do with forbidding Jewish Yeshua-disciples from being circumcised nor was Paul preaching against Torah observance for the Jewish followers of Messiah. Nanos quotes Josephus (quoting Eleazar) as outright stating that one must be a Jew in order to be obligated to the commandments of the Torah of Moses. In Eleazar’s case, the only way to resolve the conflict of a non-Jew even voluntarily observing some of the mitzvot was for him to “complete the act,” “rite,” “work” of conversion through circumcision. So Paul expected that Gentiles as Gentiles behave “Jewishly” but not become Jewish. However behaving “Jewishly” does not mean they became Jews without a bris and were in any manner obligated to the 613 commandments as were/are the Jewish people, either born or converted. Such unorthodox behavior creates for them [Yeshua-believing Gentiles] an anomalous identity leading to sociopolitical marginalization, both from Jews, who do not share their chronometrical gospel claim to be neither guests nor proselytes but full members alongside of Jews, and, for different reasons, from their non-Jewish families and neighbors. If even those who become proselytes may be regarded with suspicion as atheists and traitors, then likely all the more threatening would be those who remained non-Jews if they simultaneously claimed the right to abstain from honoring their fellow non-Jewish people’s gods and lords. I suppose a brief explanation of the term “chronometrical gospel” is in order. 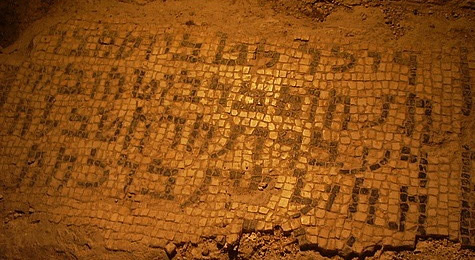 As I understand it, the term refers to a time-based event in the overarching salvational plan of God for Israel and the nations, whereby with the first advent of Messiah ben Joseph, Gentiles were granted, for the first time in human history, the opportunity to be equal partakers in the blessings of the New Covenant (Jer. 31, Ezek. 36) without becoming Gerim as was required in the time of Moses, and having the third generation of their offspring being accepted as an Israelites (thus partaking in the Sinai covenant), or in first century (and later) times by undergoing the rite of the proselyte and converting to Judaism. From the life, death, resurrection, and ascension onward, non-Jews were provided a new and better path by which we can swear fealty to God through the faithfulness of the Jewish Messiah King. We also see from the above-quoted passage, that Yeshua-believing Gentiles were accepted as social equals and sharers of the New Covenant blessings of the Holy Spirit and the promise of the resurrection, not only without being required to first convert, but without the identical obligation to perform the Torah mitzvot, an obligation that remains exclusive to born-Jews and proselytes. 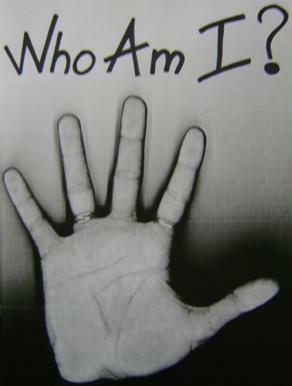 Nanos brings up something especially relevant to the role of the “Messianic Gentile” today, the matter of identity ambiguity. Just like our first century counterparts, we modern Gentiles in Messiah, when within (Messianic) Jewish communal space, are not Jews but are also not allied with our former identities as non-believers. We are expected to take the moral high road, so to speak, and particularly in Jewish space, we say Jewish prayers (although our prayers are sometimes adapted due to us not being Israel), attend prayer services with Jews, attend the Torah service with Jews, eat kosher food when we dine with Jews, cover our heads when davening with Jews, and committing many other acts that look pretty “Jewish,” even though we are not Jews. In many ways, we are neither fish nor fowl, and the question of just what Messianic Gentile behavior actually is supposed to look like is often a matter of spirited debate. It would be nice if our Bibles contained such “tags” to make Paul appear more within his own context to those of us reading him thousands of years later in a religious, cultural, and conceptual environment definitely outside of his original context. In the shortest sense, this could consist of no more than adding the phrase “…for Christ-following non-Jews” to statements made about them in order to avoid universalizing the matter under discussion. You get the idea. What would have been understood as a matter of course by the original readers of Paul’s epistles almost completely eludes lay-person, clergy, and Christian scholar (or most of them) twenty centuries later in our American churches, seminaries, and universities. Getting back to the role of the ancient Messianic Gentile who was not expected to observe many/most of the mitzvot in the manner of the Jews, what God did (and does) expect of them (us)…? …they [we] must remain non-Jews, that is, must not become members of Israel. That, in a nutshell, so to speak, is the particular path of the ancient and modern Messianic Gentile. The evidence of our faith is to deliberately not become circumcised, that is, to avoid converting to Judaism, within the Messianic community or otherwise, and to fulfill our destiny as the children from the nations called by His Name, thus fulfilling the promise God made to Abraham about his gaining (faithful) children from the nations…that is, us. By either converting, or unjustly claiming full obligation to the Torah as if we were converts without a bris, we are making a mockery of God’s promise to Abraham, and denying our own role as non-Jews in Messiah, further throwing God’s prophetic word back in His Face (as it were). In contrast, Paul argues for faith(fulness) alone exclusive of circumcision as the decisive action for the Christ-following non-Jews he addressed, even though it came at the price of marginalization. In other words, if you’re a Messianic Gentile and you at least sometimes feel marginalized, both in the Messianic Jewish world and in the Church among more traditional Christians (and I know what that feels like), that’s normal. But Nanos believes Paul was not seeking to bifurcate faith for the Gentile vs. actions/deeds for the Jews. Both Jews and Gentiles are saved by faith(fulness), but what is required by the faithfulness of the Gentiles does not include an identity transformation by becoming Jews and/or Israel. That identity is reserved and the faithful Jews are assigned obligations and duties not incumbent upon the Gentiles in Messiah. Paul appeals to principle, not expedience. He defines the principle as faith(fulness) according to what is appropriate for them as non-Jews, which can be different in specific ways from that faith(fulness) might consist of for those who are Jews. Any statements made by Paul that appear to devalue or require the elimination of Torah observance and circumcision by all Yeshua-believers, when read within Paul’s original first century Jewish context, only apply to his non-Jewish audience, the Yeshua-believing non-Jews in the Messianic ekkelsia. Any statements made by Paul that appear to require full observance of the Torah commandments and circumcision by all Yeshua-believers, when read within Paul’s original first century Jewish context, only apply to his Jewish audience, the Yeshua believing Jews in the Messianic ekkelsia (although they would also apply to Jews who were not Yeshua-believers since all Jews have Jewish identity, being Israel, and obligation to the Torah of Moses at the core of their being Jews). I’ll continue with my reviews as time allows. Note: Edited at Portland International Airport using PDX’s free wifi and free electrical power in their business courtesy room.